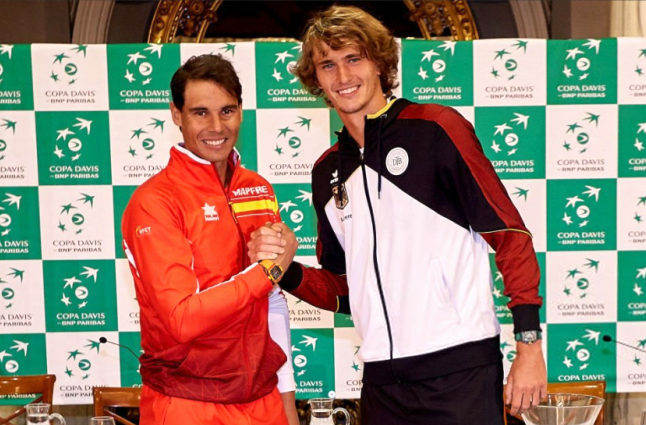 The top ranked players for Spain and Germany, Rafael Nadal and Alexander Zverev, prior to their quarter-final encounter. Credit @SitTanyusha via Twitter. With the next tennis Grand Slam scheduled to begin in May, it seems this period may signal a significant stage for the sport, as continuing to hold fans’ interest may be a prominent goal. The recent round of the Davis Cup may therefore be increasingly important, and considering it is the equivalent of the football and rugby World Cups, it may be among the most prestigious events in the calendar. Yet, its crowning glory may be how it combines individual prowess with team qualities, with the latter requiring different capabilities to other events. As such, it may provide a fresh and diverse opportunity for the athletes to showcase their credentials. 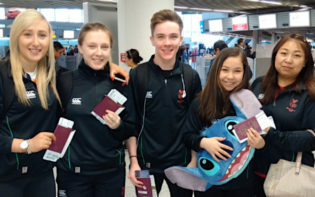 With the Commonwealths presently showcasing the benefits of team play, the tournament may also have increased relevance, and therefore support, and thus organisers may be replicating a formula which attains focus. The event seems to have a vast and fruitful history, with this perhaps the prime reason why it may hold a high status in the sporting world. 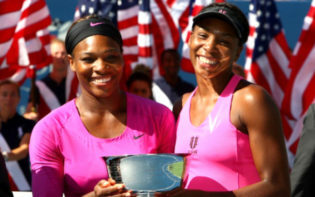 Having originally been established in 1900, where the US and Great Britain solely competed for the trophy, it seems to have aimed to continuously evolve to stay pertinent. Whilst the history itself may be important in cementing its status, prioritising innovation may contribute superior to this goal. With the 2016 edition overseeing the entrance of 135 nations, a vast increase on its inception, and with further innovation outlined, maintaining its position in the calendar may remain important for organisers. Considering the competition also seems to advance the careers of its competitors, the benefits seem plentiful; with athletes provided with an opportunity to both expand their credentials and trophy cabinets. 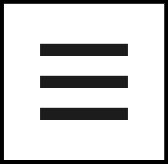 Great Britain, and more specifically Andy Murray, seems the most notable examples of this, with their victory in 2015 driving both along a prosperous pathway. 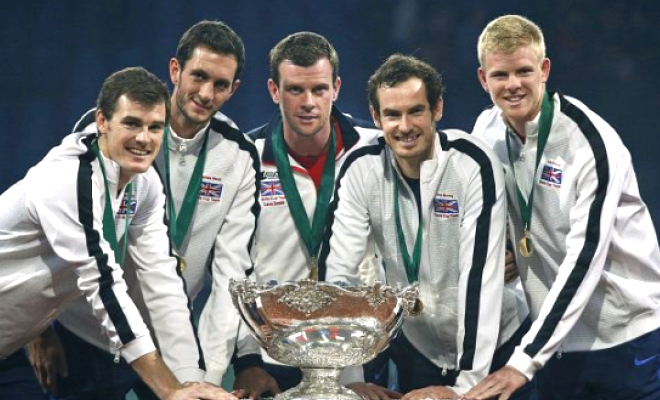 Great Britain won the Davis Cup in 2015, with Andy Murray (centre-right) instrumental in this. Credit @MaroaMalkova90 via Twitter. The Scotsman’s assistance in this victory, coupled with his Grand Slam triumphs, ultimately ensured he won the Sports Personality of the Year award, bringing tennis to the forefront of a global focus. As such, whilst he also seemed to advance his own career, his ability to entice a fresh influx of support may earn him increased plaudits. With young players also consistently utilised in the competition to aid with the transition into the professional game, including Canada’s Denis Shapovalov, all may able to succeed. With the tournament therefore seemingly providing beneficial outcomes, it may be important for nations to continue to prioritise it, with the recent quarterfinals suggesting teams adhere to this ideology. The encounter between Spain and Germany, two well-equipped and successful nations, were one of the ties, with both competing for a position in the latter rounds. Considering world number one Rafael Nadal also used the fixture to return to the sport for the first time since his absence, the suggestion the event remains a priority for all seems amplified. With the tie requiring all five rubbers to determine a victor, the competitive nature of the event may also be cemented, and thus it may be imperative to retain the final as the season conclusion. 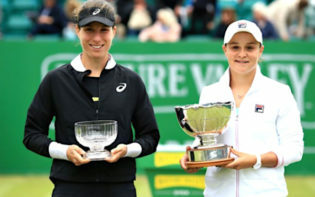 Ultimately, the event seems to be poignant for tennis, as it seems to use different skill sets and traits compared to other tournaments, prioritising team play as the catalyst for success. When coupled with requiring players, and captains, to be flexible with their tactics and the surfaces on which ties occur, possessing an array of traits may be key. Players may need to consistently highlight their varied skills, and with the positioning of ties, retaining motivation and fitness may also be a prominent goal. This positioning seems to most poignantly offer an ample period for players to improve and hone their credentials, and with the semi-finals scheduled for September, this may be the case. 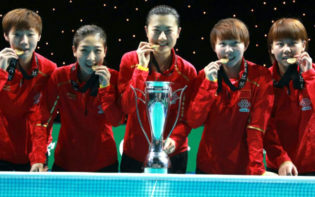 Therefore, the organisers may have found a productive formula which may triumph, and expanding upon this may solely serve to cement its place in the sporting world. How might the Davis Cup entice a wider array of supporters to the sport due to its usage of national ties?